It was speculated that IndyCar’s new 2018 aerokit would benefit Honda, thanks to its superior engine, and so far this is looking to be the case after the opening race of the IndyCar season at St. Petersburg, where four Honda drivers led 105 of the 110 laps, and eight Honda-powered cars finished in the top 10. A thrilling finish saw Andretti Autosport Honda’s Alexander Rossi all over the gearbox of Schmidt Peterson Motorsports Honda’s Robert Wickens, who had placed on pole and ultimately led 69 laps. But Rossi, who had started 12th, looked faster. With only a dozen laps to go, however, Rossi locked his brakes on the attack and lost a lot of ground, after which the fight looked to be over. Then, four laps later, Max Chilton spun, stalled, and after officials restarted his car, they decided to do a lap of caution, which brought Rossi right back into contention. Wickens had a bad launch on the restart, later blaming the pace car for not turning off its lights, and Rossi tried his move on the inside part of the track, only to find the limit of grip on the loose marbles and send the rival Honda driver spinning into the wall. 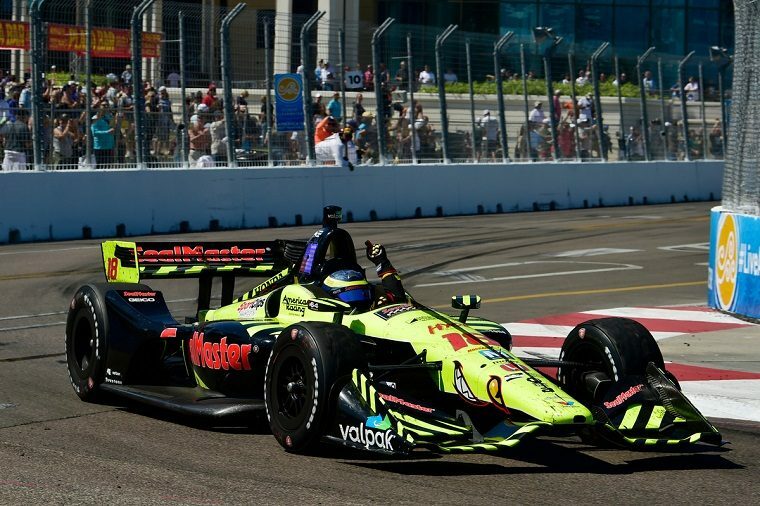 Though Rossi was better off after the crash, he also lost a lot of time, and it was Sebastien Bourdais, driving for Dayle Coyne Racing with Vasser-Sullivan Honda, who swept in for the win, making it his second consecutive victory at St. Petersburg.